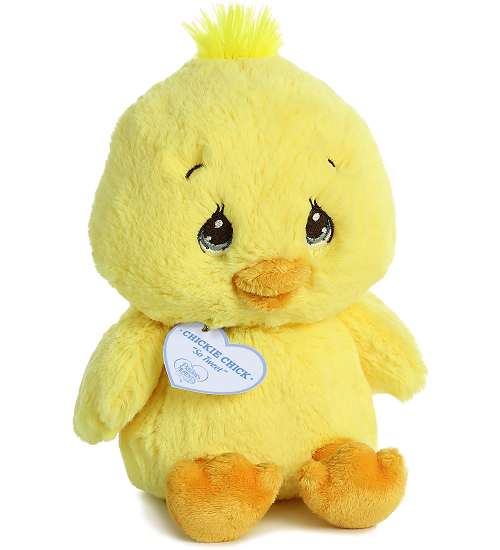 With a sweet face to melt your heart, Precious Moments Chickie Chick also has a very special inspirational tag bearing her name and an encouraging message that is close to her heart - "So Tweet." 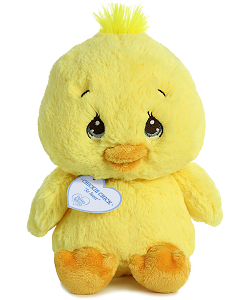 This adorable plush chick has a huggable body of soft lemon-yellow fur, orange feet and beak, and a sweet face with beautifully embroidered blue tear-drop eyes. 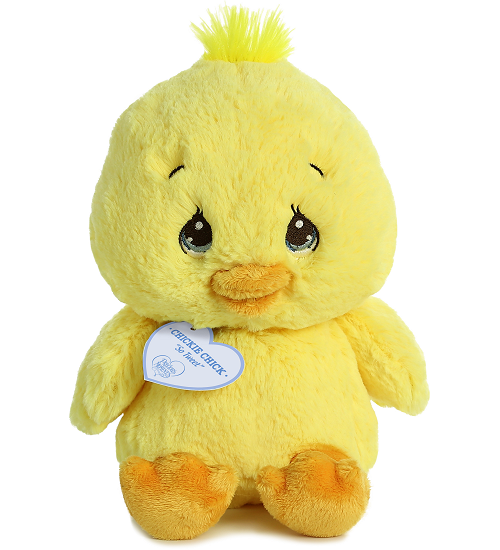 This Precious Moments Chickie Chick is a stuffed animal chicken that will Share the Gift of Love for years to come. Bacon is an adorable plush pig with soft pink fur and an inspirational message of Hogs & Kisses.